This engaging and unprecedented work captures the compelling story of John F. Kennedy’s role in advancing the United States’ space program, set against the Cold War with the Soviet Union. 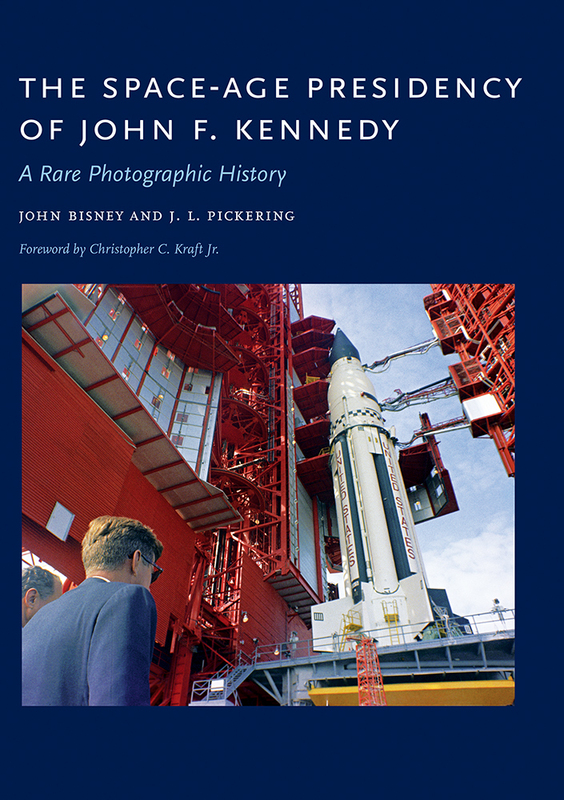 The stunning collection of history and photographs crafted by authors John Bisney and J. L. Pickering illustrates Kennedy’s close association with the race to space during his legendary time in office. In addition to the exhaustive research and rare photographs, the authors have also included excerpts from Kennedy’s speeches, news conferences, and once-secret White House recordings to provide the reader with more context through the president’s own words. While Kennedy did not live to see the fruition of many of the endeavors he supported, his legacy lives on in many ways—many of which are captured in this important work. John Bisney is a former correspondent who covered the space program for more than thirty years for CNN, the Discovery Channel, and SiriusXM Radio, among other news outlets. He is also the coauthor, with J. L. Pickering, of Spaceshots and Snapshots of Projects Mercury and Gemini: A Rare Photographic History (UNM Press) and Moonshots and Snapshots of Project Apollo: A Rare Photographic History (UNM Press). J. L. Pickering is a space-flight historian who has been archiving rare space images and historic artifacts for some forty years. He is also the coauthor, with John Bisney, of Spaceshots and Snapshots of Projects Mercury and Gemini: A Rare Photographic History (UNM Press) and Moonshots and Snapshots of Project Apollo: A Rare Photographic History (UNM Press).